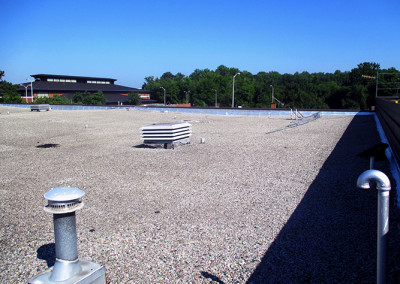 Raymond Engineering was the prime on this Roof Replacement and Energy Conservation project for Building 2078 at Robins Air Force base. 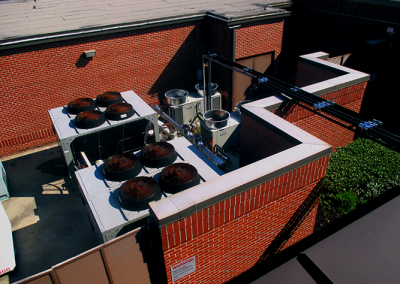 As the Prime, Raymond Engineering was responsible for the coordination of the architectural roof replacement, HVAC system replacement, interior lighting replacement, occupancy sensor installation, and acoustical ceiling replacement. 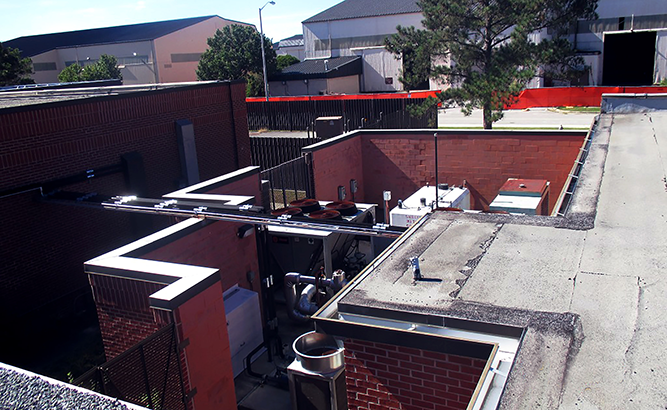 The 116th ACW required an upgrade to their heating and air system, and a replacement for the existing built-up roof on building 2078. 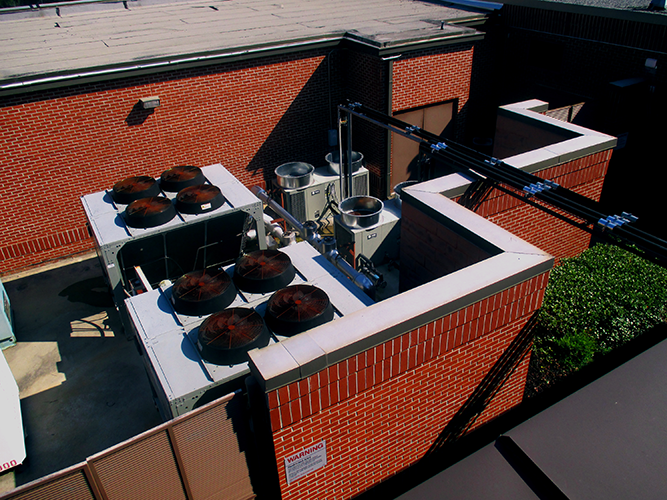 The heating and air-condition systems within the building have been added to and modified over the years as each addition was added to the building. The functions within the 43,604 square foot facility have changed, but the primary function remains administrative. The scope of work for this project includes the removal of the existing roof system and metal flashings, the replacement of existing drainage facilities, and the installation of new drainage facilities, cross over ladders, and PVC roof system. 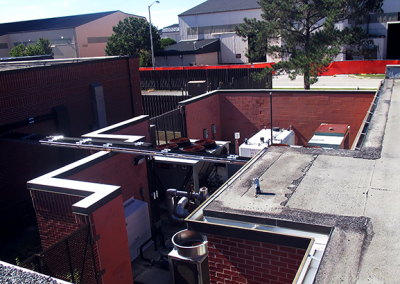 The removal of the existing HVAC system and installation of a new system was also a part of the scope in this particular project. Lighting systems and controls installed prior to 2010 were removed and new lighting was installed. This particular project was a portion of a base-wide energy conservation initiative. 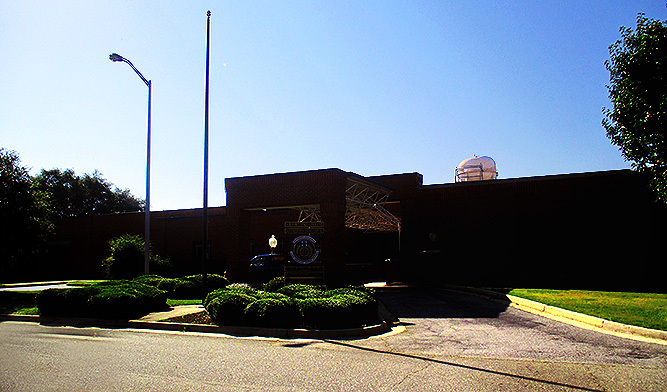 In the preliminary design phase, Raymond Engineering developed multiple system reviews and associated budgets so that the most economical option could be chosen for the final design. 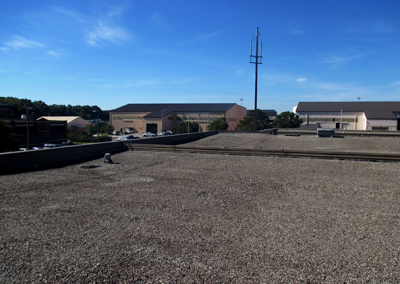 A roof replacement plan was developed to join the multiple additions and eliminate the existing water intrusion and moisture mitigation issues. The building was occupied during the performance of work during this project. Special attention to the building’s schedule and occupants was observed throughout the duration of the project.